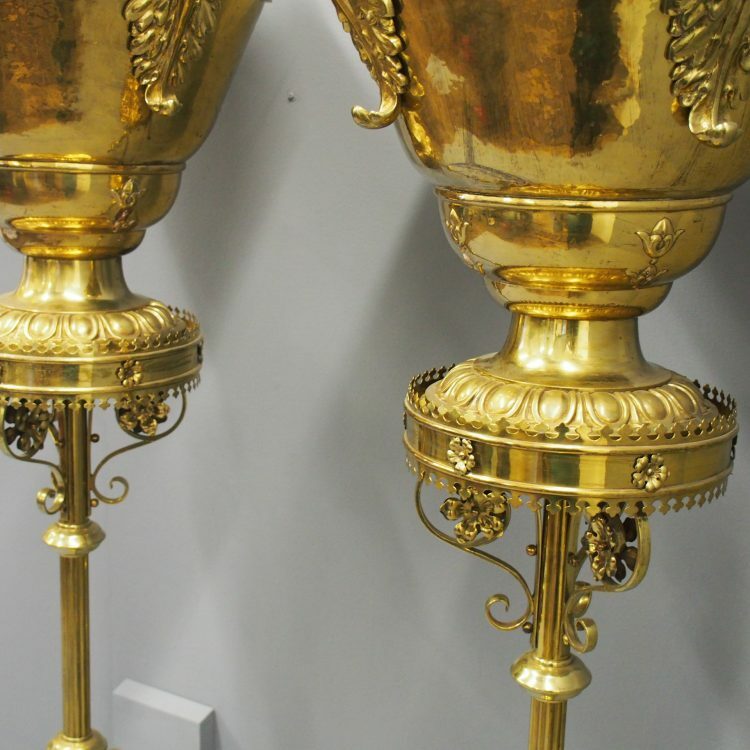 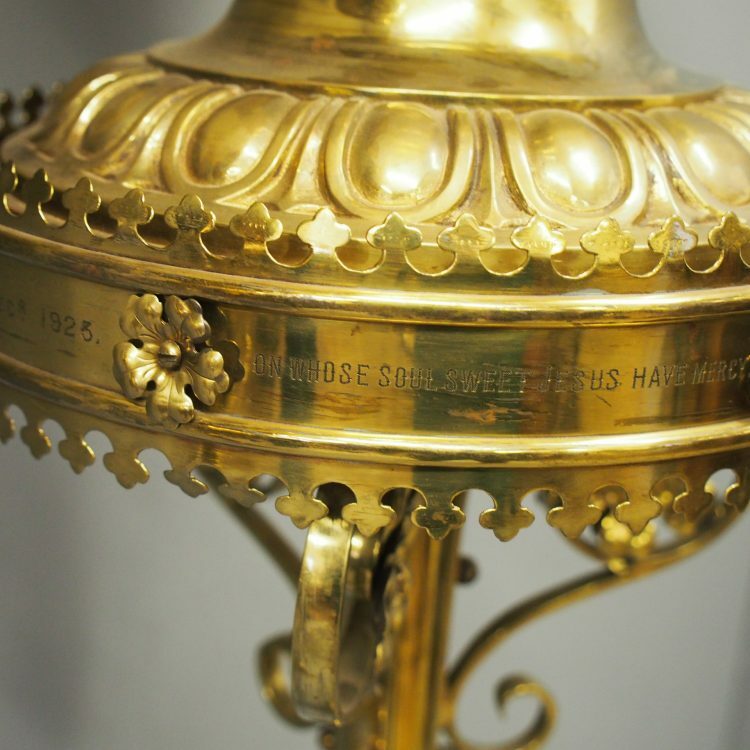 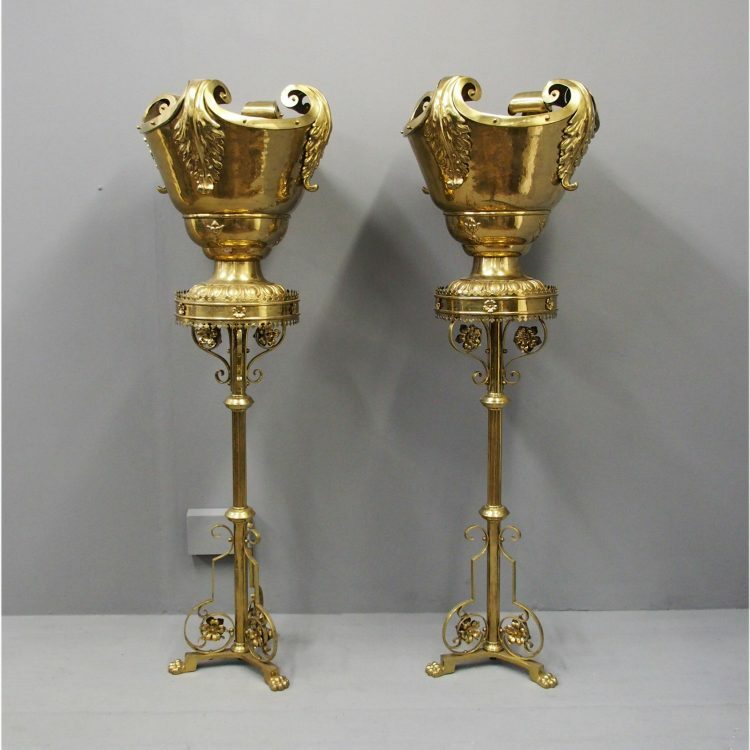 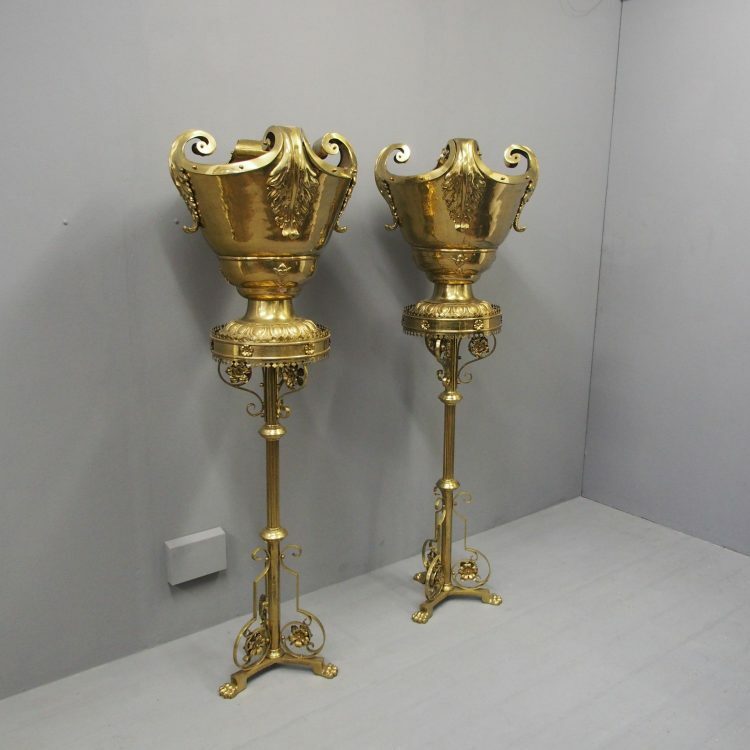 Circa 1900, a monumental pair of cast brass stands and urns. 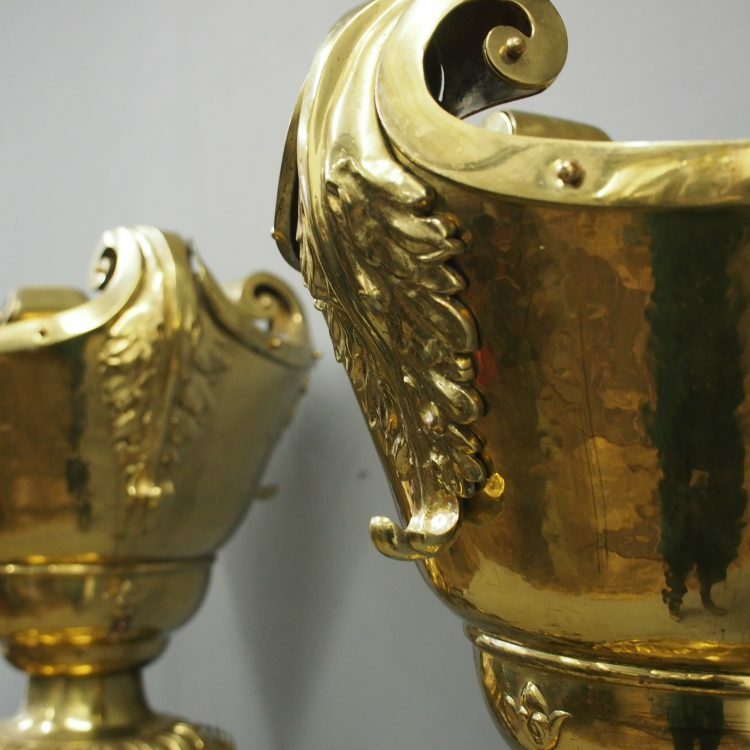 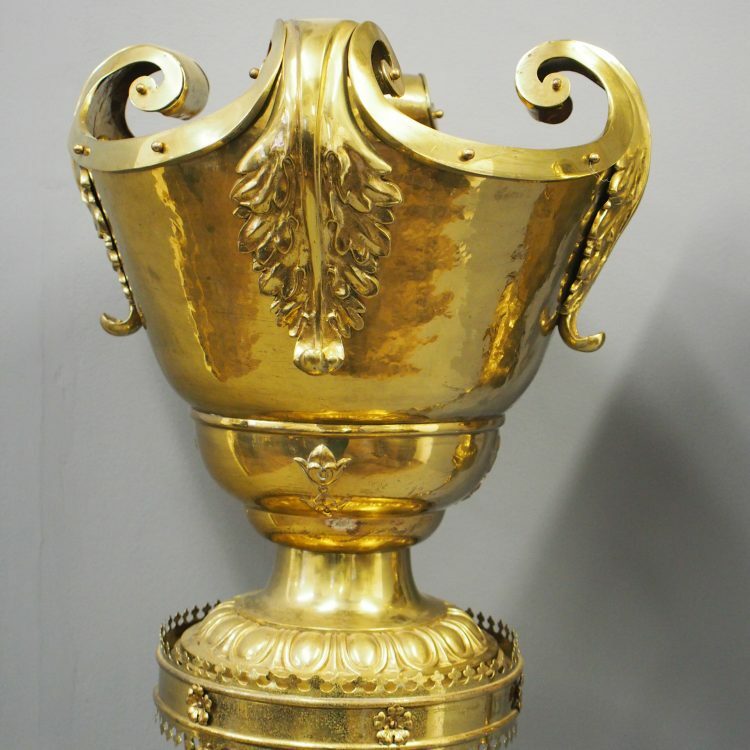 The urns have a scrolling top section with large cast acanthus leaves on four sides. 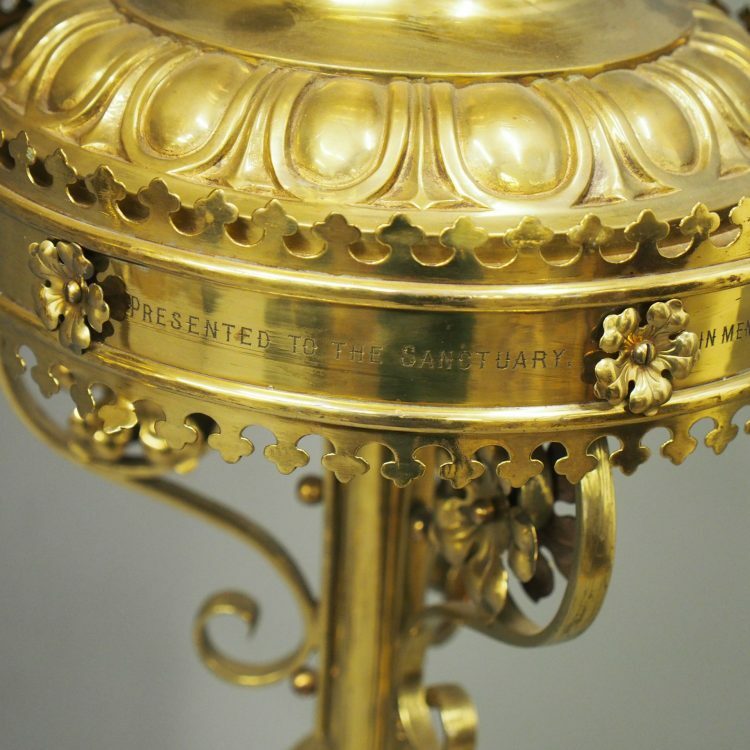 The body tapers down and below there is fleur-de-lis pattern embossed into it. 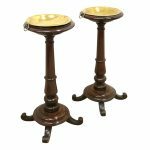 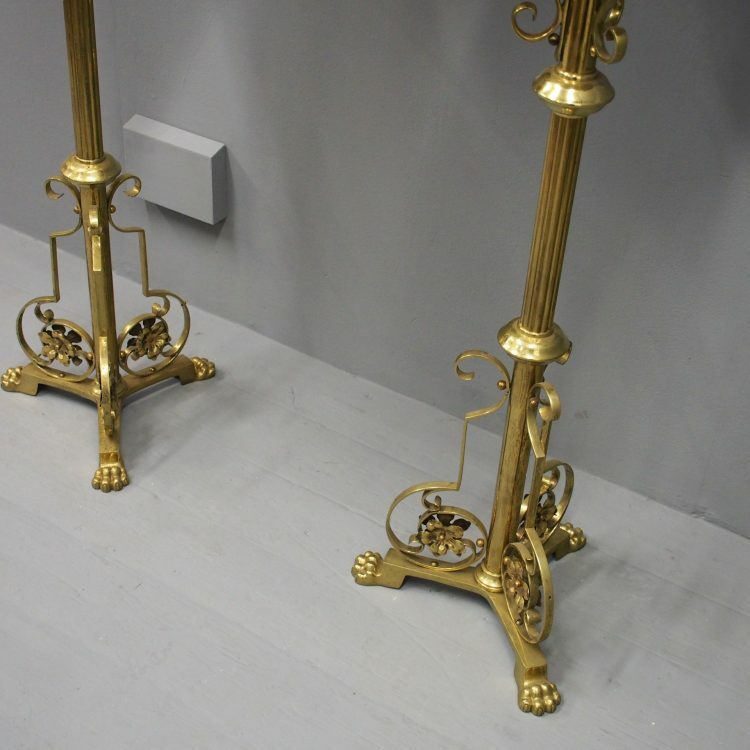 There is a curvaceous base and a pedestal foot which is also embossed. 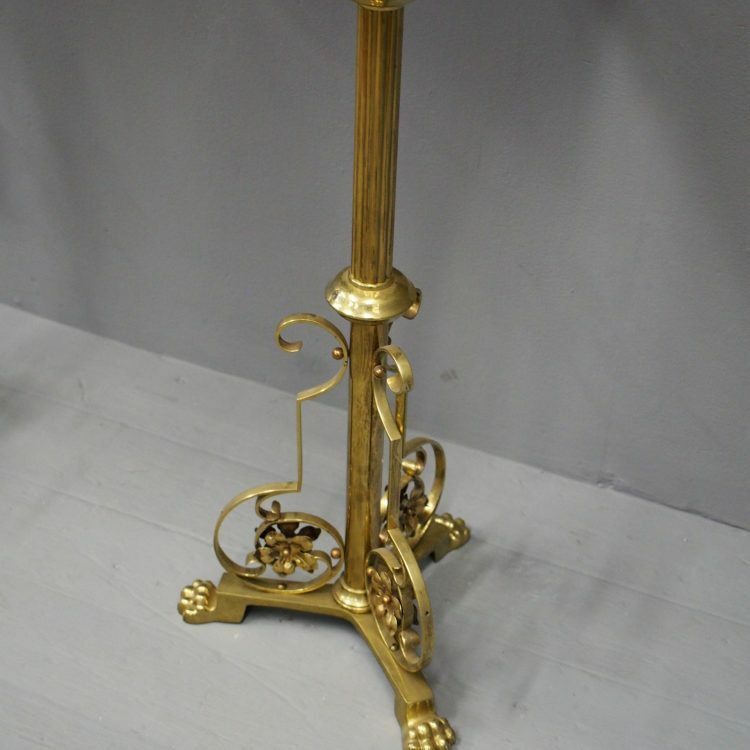 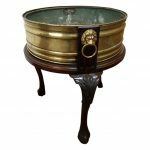 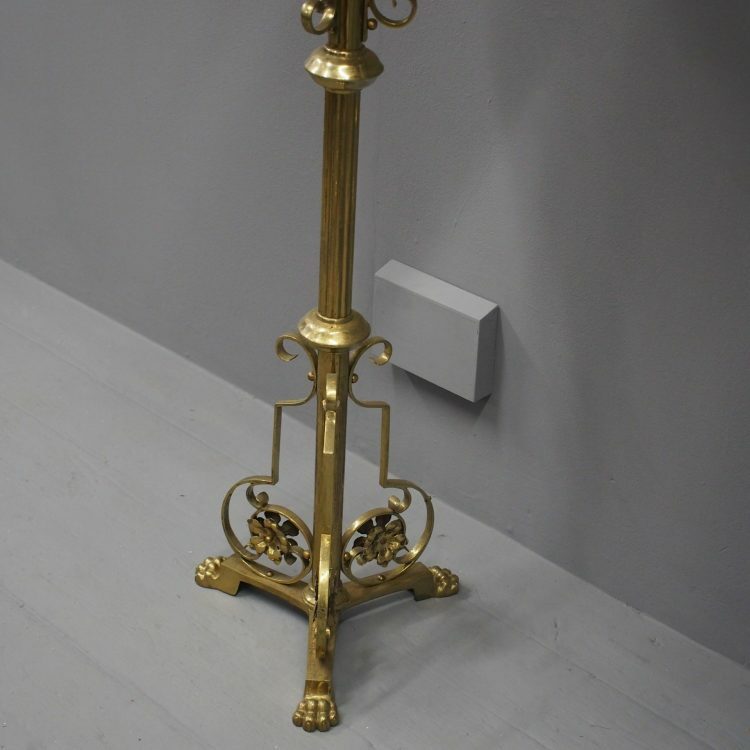 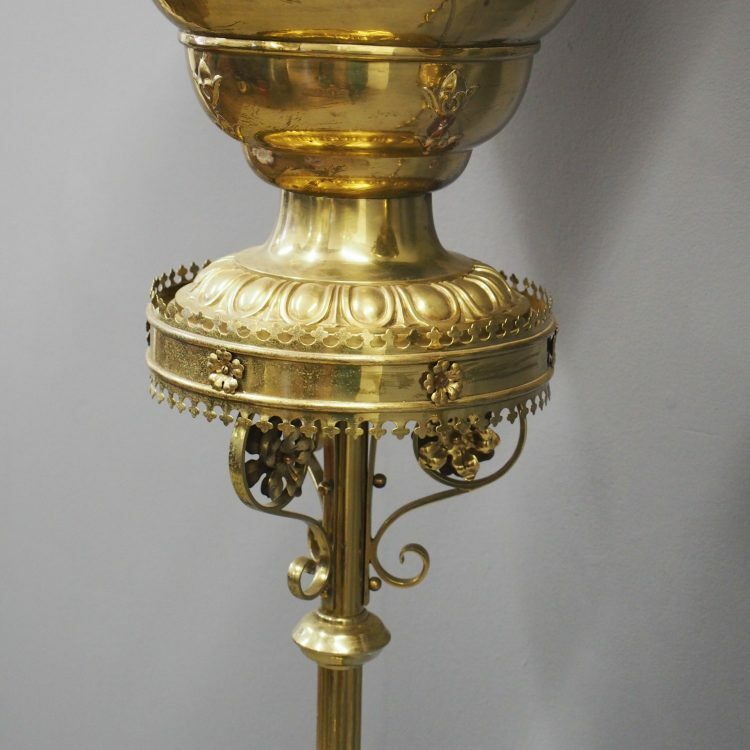 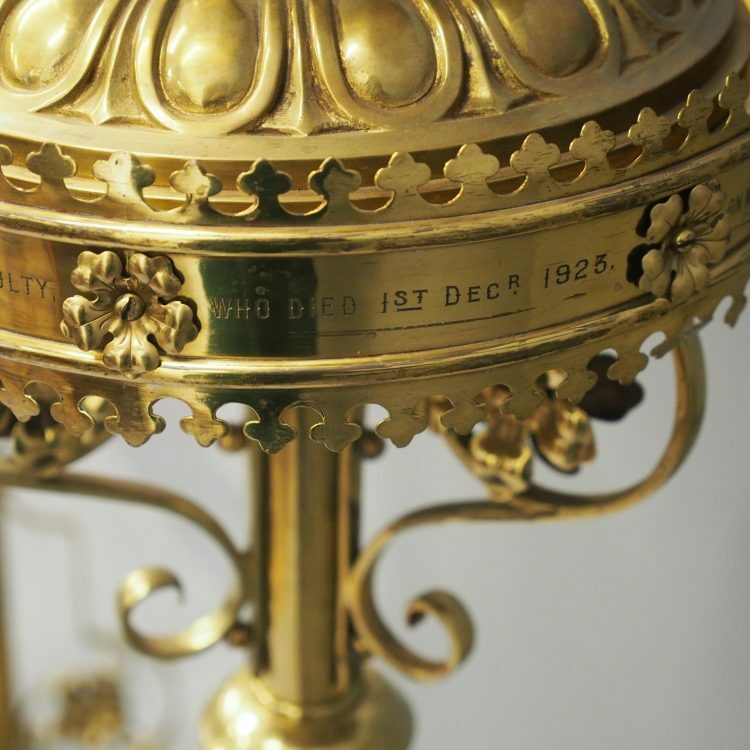 The stands are in the Gothic taste, with a large central circular top with fretwork top and bottom, and cast brass flower heads. 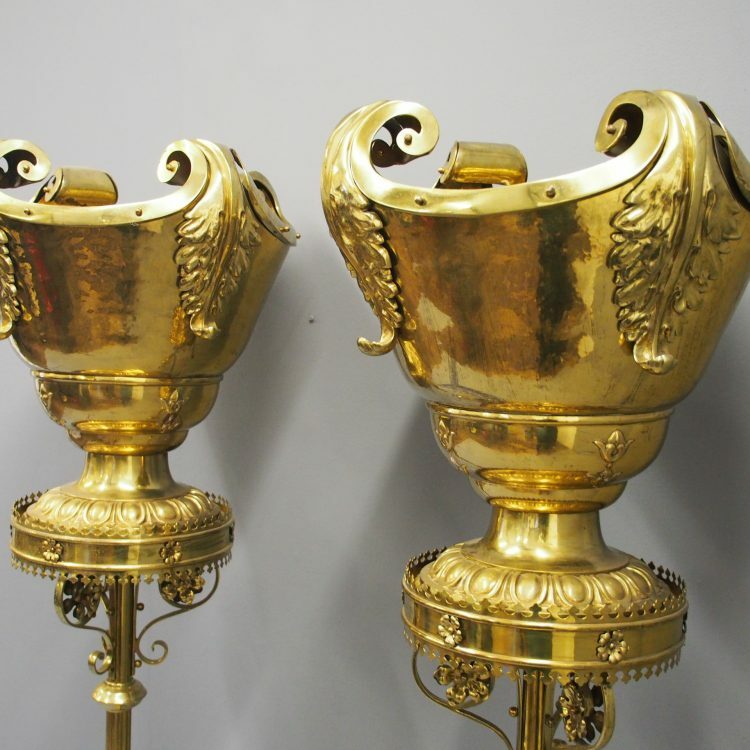 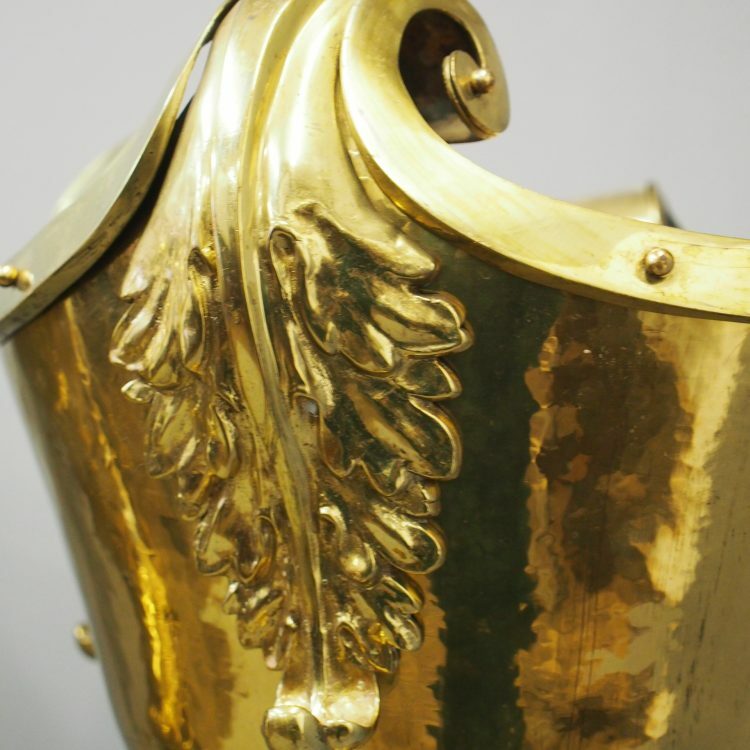 Below are 3 scrolling brackets for support with flower heads on both sides, and a central column which is turned at the top and fluted in the middle section. 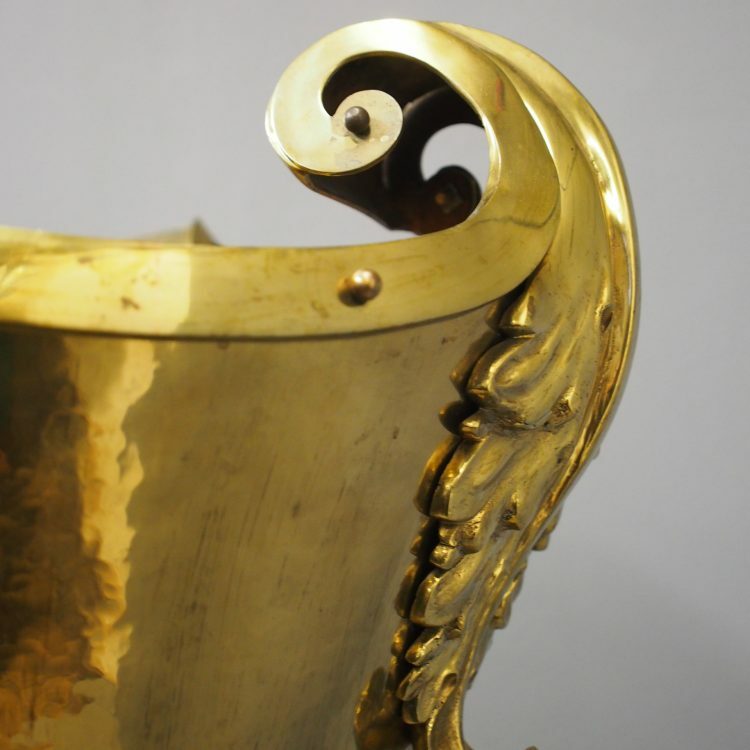 At the bottom again are 3 scrolling brackets with flower heads on both sides, and a squat platform base with hairy paw feet.